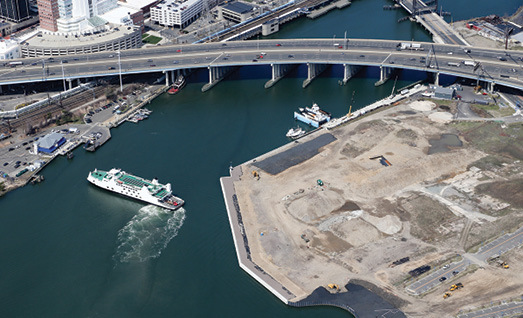 RACE Coastal Engineering, a waterfront structural, geotechnical and regulatory consultation and design firm in Stratford, CT, has joined join the Connecticut Maritime Coalition (CMC), the State’s maritime industry advocate. Comprising 23 member businesses that share market knowledge and expertise and work together with government, businesses and private organizations to solve issues, CMC develops strategies to strengthen and grow the State’s maritime economy. Maritime activities have always been a significant part of Connecticut’s economy. The state’s maritime industry employs more than 12,000 people and generates revenues in excess of $2.6 billion annually. The maritime industry is linked to a wide range of other economic activities and impacts every citizen of the state. Direct impacts range from employment and job creation and transportation to local, state and federal taxes, while indirect impacts range from cost of goods to quality of life. Founded in 1999, RACE Coastal Engineering provides coastal, structural, geotechnical and regulatory consultation and design to residents, recreational facilities, municipalities and commercial properties throughout the Northeast and beyond. To learn more, call 203-377-0663 or visit racecoastal.com.